If you have decided to end your marriage, or if your spouse has just told you that they are through with the relationship, I’d like to help. I specialize in providing counseling to clients who are dealing with the loss of hopes and dreams of their marriage and of their family. 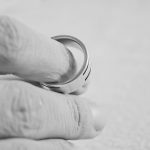 Does the end of your marriage feel devastating? And you wonder what this will do to your children? Is it possible that everything you thought you knew and could count no longer makes sense? Do you think an experienced Divorce counselor could offer you the relief you desperately crave? If you feel any doubt that therapy will help, that’s ok. You only have to call and take that first step. Together with a Divorce Counselor, we’ll help you find the ground beneath your feet, process your trauma, and hold the emotional space and hope for you and with you. You are not alone. You deserve to feel better, and I would be honored to work with you. I concentrate on counseling clients facing divorce, will meet you in your emotional space, without judgment and with compassion.